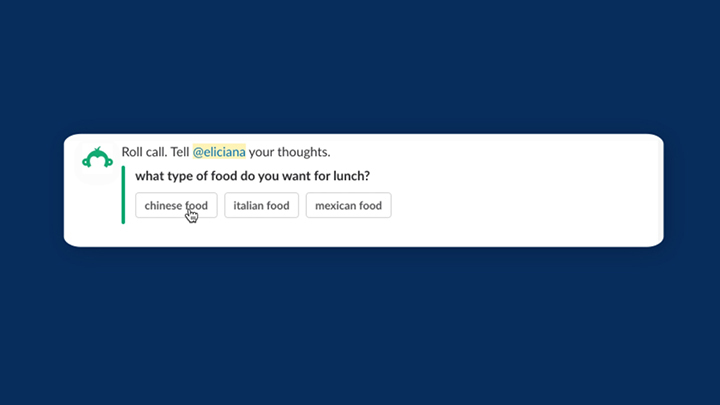 Get a quick opinion from your team by sending a one-question poll they can vote on in Slack. 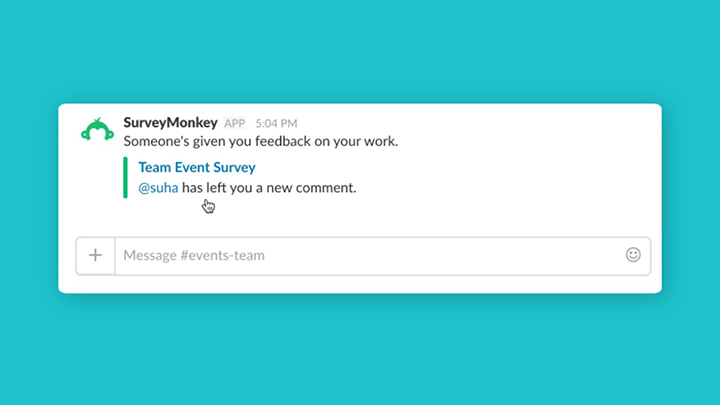 Create surveys more effectively by inviting your Slack team to provide feedback. Share survey results, and set channel-wide notifications for new responses. Control how often the team’s notified—add instant notifications or set a daily summary alert of your response totals. To get started, click Install at the top of this page. 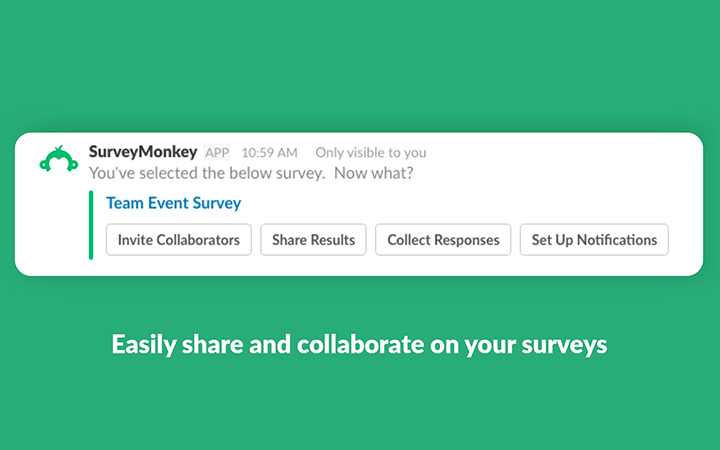 Then, authorize both SurveyMonkey and Slack to link your accounts. Once your account is connected, get a refresher on what the integration has to offer by entering /surveymonkey in Slack.